Lose weight, fight sickness and disease, and gain energy with dozens of delicious drinks. 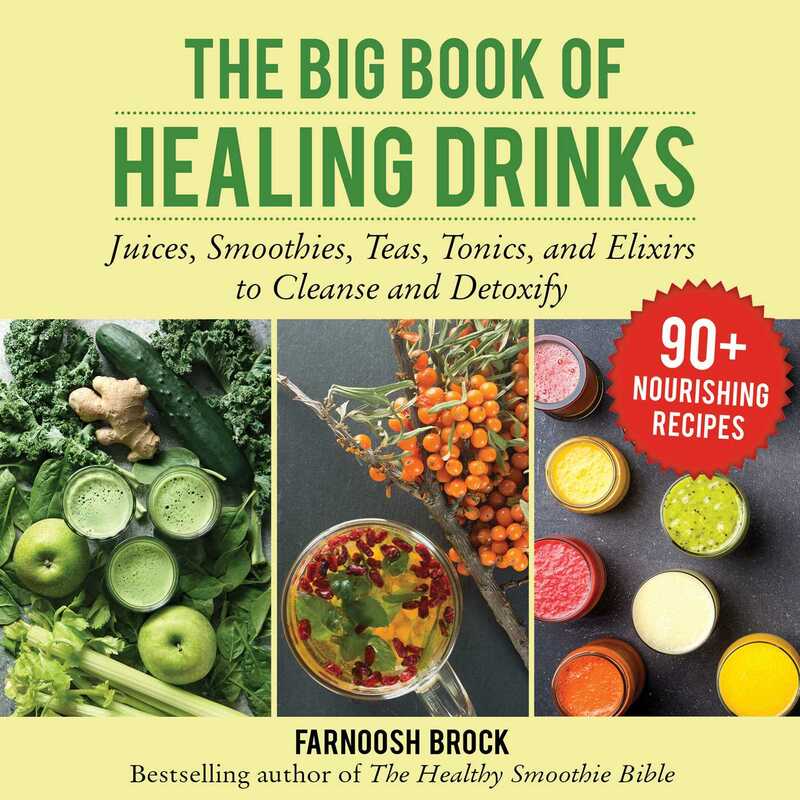 The Big Book of Healing Drinks goes beyond The Healthy Juicer's Bible and The Healthy Smoothie Bible, the previous two books by Farnoosh Brock, by introducing new healing drinks such as elixirs, health “shots” and tonics, delicious “lattes”, teas full of antioxidants, homemade broths, and hot water therapy. The book provides the nutritional value of each drink as well as the easiest way to prepare these recipes in the comfort of your own kitchen. As you evolve into a healthier version of yourself, you will feel more energy and less fatigue throughout the day, more lightness and less heaviness in your movements, and more overall joy and confidence in your life.